Following the announcement by Treasury that VAT would increase by a percentage point, to 15 percent effective from 1 April 2018, concerns have been raised by many within government, civil society and the private sector that South Africa’s poorest citizens and low-income households would be hardest hit. Much of the popular discourse to date, and the extensive work conducted by the independent VAT commission, pertains to the possible expansion of the zero-rated items list. However, these discussions have overwhelmingly centred on basic food and other everyday household items, such as bread, flour, milk, school uniforms and sanitary products. While every opportunity to increase the purchasing power of South Africa’s most vulnerable citizens and help lift them out of poverty is welcomed, restricting the focus of the commission to specific items applies myopic thinking to a critical issue that can have far greater reverberations. Instead of expanding a list of basic goods from 19 to 66, let’s use this opportunity to move beyond linear thinking that delivers isolated impact. Instead, let’s apply a global mindset to find a solution that delivers far-reaching benefits; one with the potential to create significant knock-on effects, not just for the poor, but for the broader economy as well. The big-picture approach I refer to is the South African National Taxi Council’s (Santaco) call for a zero VAT rating on the purchase of minibus taxis by licensed operators. It’s a call that I hope every South African will support, for a number of reasons. A more cost-efficient minibus taxi industry has the potential to transform the economy. 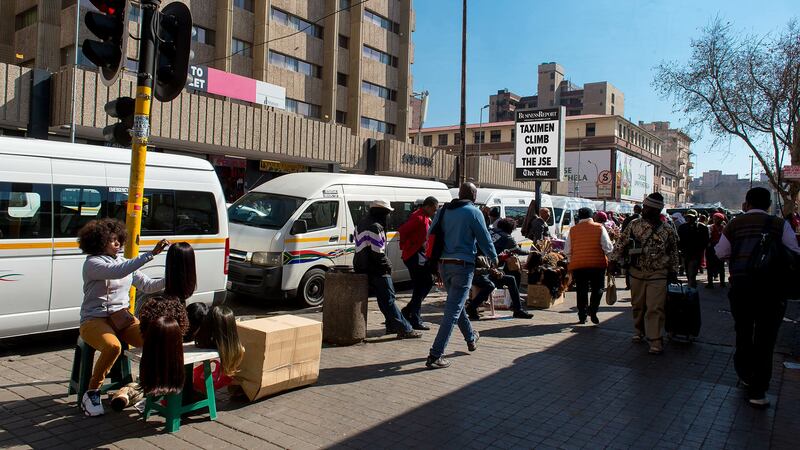 South Africa’s taxi industry is the dominant form of public transport in the country, catering mainly to previously disadvantaged populations and those in low-income groups. Despite this fact, the industry, which is the only wholly black-owned sector in the economy, receives relatively little support from government. Compared to other transport industry participants, and other key sectors of the economy such as agriculture, the taxi industry receives far less in terms of tax relief or subsidisation. The taxis themselves are also expensive, as are the associated running and maintenance costs. The result is that these costs are passed through to South Africa’s most economically vulnerable segment of the population. By zero-rating the purchase of minibus taxis, government would effectively lower the industry’s input costs by roughly R1 billion per year. The direct and immediate impact would be a reduction in transportation costs for commuters, the majority of whom constitute South Africa’s poorest households, yet they form the bulk of our workforce. However, a multitude of additional benefits would also be realised further down the value chain. For starters, operators would benefit from improved cash flow, which will have a beneficial knock-on effect that will reverberate throughout the sector. For instance, operators would have more operating capital to allocate to the servicing and maintenance of their vehicles. This would improve passenger and driver safety, along with fuel efficiency. Improved margins could also help to shorten vehicle lifecycles to effectively accelerate the modernisation of the country’s taxi fleet. Moreover, improved profit margins would make a greater number of routes more sustainable, creating a bigger industry within which a greater number of operators could create jobs and generate income and wealth for more of the industry’s participants. More routes would also help to alleviate tensions and the resultant violence on congested and highly competitive routes, while also extending transport to more remote areas for a more inclusive service. the indirect benefits and the compounding returns would drive significantly greater value creation for the country and the economy. These benefits would be realised from a more reliable and cost-effective transport service that gets employees to work on time, where they can help to stimulate and drive economic growth. And there’s also the potential for increased tax revenues from a bigger, more vibrant industry to consider. The potential to generate increased tax revenues from tyre and fuel levies would dwarf the R1 billion VAT shortfall. It is for these many and substantive reasons that I pledge my support for Santaco’s proposal. If the proposed plan to zero-rate VAT hopes to deliver a material and lasting benefit to the poor and positively impact on economic emancipation in this country, this is the kind of big-picture thinking that is needed.